Picture this. Somewhere in the mountains, a log cabin, made cosy not just by a roaring fire, but equally, by Joe Cocker’s warm baritones and mugs of wine while you and…wait a minute. Mugs of wine? 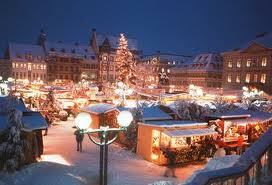 I must be reminiscing about a tradition normally associated with the Christmas season in faraway Germany. A tradition that, today, no longer restricts itself to just the holidays but possibly sustains itself through the length of the bleak winters right across the European continent. The drinking of Gluhwein, a hot, mulled wine is what I’m referring to. This custom is as much a part of Germanic culture as is beer-guzzling or bratwurst-munching. Much of the life during the festive season revolves around the breathtakingly decorated town centre markets that have stalls exclusively selling this spicy, hot wine. My first ever cuppa was merely a desperate attempt to keep my hands warm while browsing around just such a fair in Nuremberg. Now, some years and gazillions of mugs later, I can honestly admit to looking forward to the short, biting winters knowing full well I have a ready remedy that will keep me warm – from the tip of my nose to the very end of my toes! The preparation of mulled wine is a simple enough task. All you need are some bottles of outright inexpensive, dry red wine (zinfandel, merlot, burgundy), water, sugar, cloves and cinnamon. Boil the water with the sugar and spices, and allow mulling for about half an hour. Strain and add to wine which should be heated just short of boiling point and served in mugs, garnished with orange slices. No doubt, many versions of this recipe abound – you have to pick one that suits your palate. 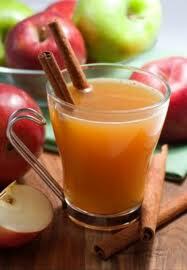 Another traditional recipe substitutes red wine with apple wine and is called ‘Heisse Ebbelwei’. This is rustled up in the same fashion, using the same ingredients. The apple wine available just across the border in Himachal Pradesh makes a fairly palatable Ebbelwei, though I prefer not to add sugar, retaining the tangy flavour. Similar experiments with their plum wine left a lot to be desired. Also keep in mind not to use copper or aluminium vessels; only stainless steel or porcelain will prevent chemical reactions that result in a metallic taste. As mentioned earlier, mulled wine is consumed right across the globe, in cold climes, and especially during Thanksgiving and Christmas. Naturally, there are regional variations. The Italians drink vino brule. 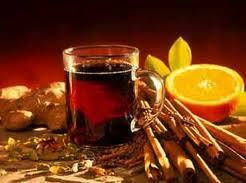 The French have their vin chaud which is far fruitier; the preferred grape being Beaujolais or Bordeaux. And the addition of green cardamom brings about a unique flavour. 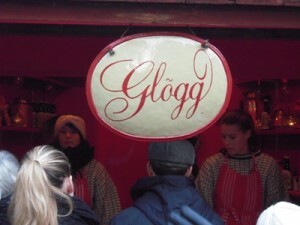 Scandinavia calls it Glogg and has its own recipes for this winter beverage. The basic recipe requires wine, port, brandy, almonds, raisins and citrus peels. In addition to that, it requires you to have nerves of steel to resist the expected kick, when it hits the spots. And, a designated driver.